That was quick - the listing has now been removed from the Samsung store. You'll just have to believe our screenshots. Samsung is probably pretty frustrated at this point, with all the recent leaks of the upcoming Galaxy Note8. Pretty much every single detail about the phone has already been revealed. 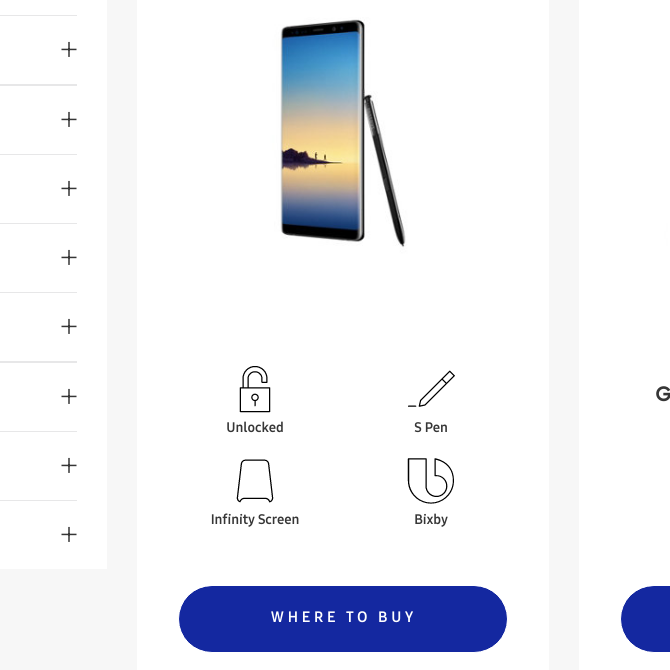 It seems like Samsung has completely given up on keeping the phone a secret (or just someone at the company screwed up), as the Note8 has now showed up on the company's online store. If you navigate to the Note sub-section on the store, the first device listed is the 64GB unlocked Galaxy Note8. The model number is also visible, SM-N950UZKAXAA in this case. Hovering over the listing shows a few of the phone's features, including the Infinity Screen, S-Pen, and Bixby Assistant. 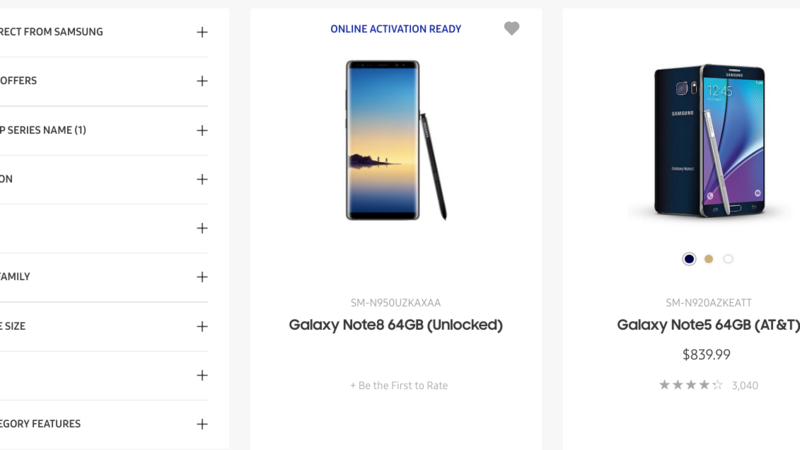 Unfortunately, the actual product page is currently missing, so clicking the Note8 listing takes you nowhere. You can add it to the site's Compare feature, which would display the phone's specifications next to other devices you select, but the Note8 vanishes once you try to view the Compare page. You can find the Note8 on Samsung's site at the source link below, at least until it is removed.